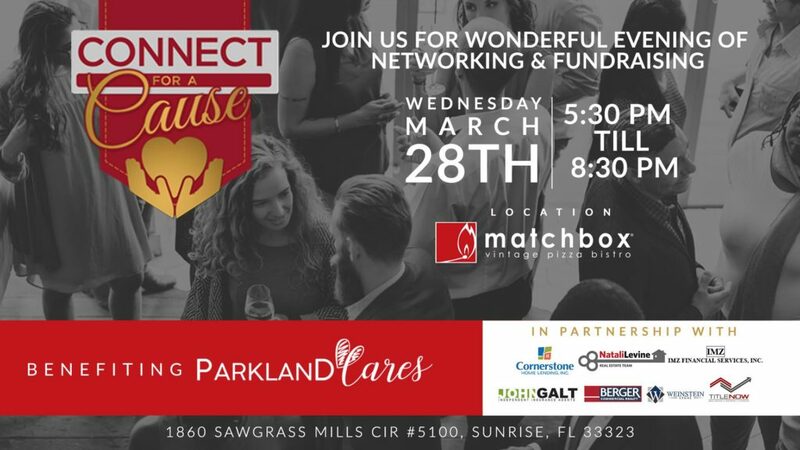 Connect for a Cause is humbled to announce that our March 2018 event will benefit Parkland Cares. The March event will take place at 5:30 on March 28, 2018 at Matchbox Vintage Pizza Bistro in Sunrise. We invite you to join us for light bites, networking, raffles, and more to benefit this cause that hits so close to home. Connect for a Cause was founded in 2017 with the purpose of connecting like-minded, driven professionals who are dedicated to giving back to their community. Please join us at our monthly networking event for the opportunity to do our part in helping our community, and to network with fellow industry professionals. Following the tragic shooting at Marjory Stoneman Douglas High School, Parkland Cares was formed to raise funds necessary to help aid the community in such a troubling time. In the aftermath of the tragedy, Parkland Cares has raised funds to provide immediate and long-term funding and awareness for mental health counseling and programs for shooting survivors, their families, and the community at-large. Recovery from such a devastating tragedy cannot happen in days. It can take months, or even years. The goal of Parkland Cares is to fund and promote counseling efforts for those affected after the initial crisis assistance has dissipated. We look forward to connecting with you all, and urge you to join us in supporting those affected by this horrific tragedy. 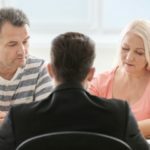 To learn more about Parkland Cares, visit ParklandCares.org. Please join us on March 28, 2018. A massive thanks to all who came to show their support for Parkland Cares. We are so proud to have contributed to this cause!